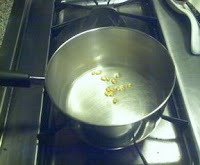 Archaeology is a destructive process. The dirt that we dig through isn't just an annoying impediment to the discovery of fantastical treasure--its layers give us important information about temporal relationships between artifacts, provide clues to how and why a grave was disturbed, and serve as a time capsule of natural and anthropogenic environmental change. From the time that I took my first college course in archaeology 15 years ago to this semester, when I taught the archaeology unit in my general anthropology class, one ethical tenet of the field hasn't changed: don't just excavate because you can. Often in intro to archaeology courses, the go-to example for "don't excavate just because you can" is the site of Pompeii. Destroyed by a volcano in 79 AD, Pompeii has for centuries yielded unsurpassed information about life in the Roman Empire. It was rediscovered in 1749, but excavations were halted in 1997. At least one-quarter of the city is still buried under ash and more contemporary debris, awaiting advances in technology to excavate and preserve the site, important considerations in light of the architectural collapses during the 2010 rainy season. Yesterday, Archaeometry published an early-view article entitled, "Mapping the undiscovered ruins of Pompeii (Naples, Italy) using ground penetrating radar" by Pettinelli and colleagues. According to the authors, theirs is only the second published study on using GPR to find archaeological remains in volcanic soil. Figure 2 from Pettinelli et al. - Scarp-exposed stratigraphy of the study site. Figure 3b from Pettinelli et al. 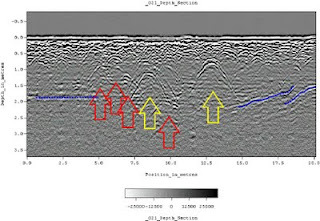 - Boundaries and anomalies detected by GPR. The importance of this study (as far as I can tell, never having done research with GPR myself) is that this technology worked on volcanic material, especially considering Pompeii has up to 8m of volcanic ash covering it. In spite of the challenges of using GPR on volcanic material, which has a tendency to reduce the radar signal amplitude, these researchers have shown that it is possible to use this non-destructive technology to find buried archaeological remains at Pompeii, albeit only up to a depth of about 3m. 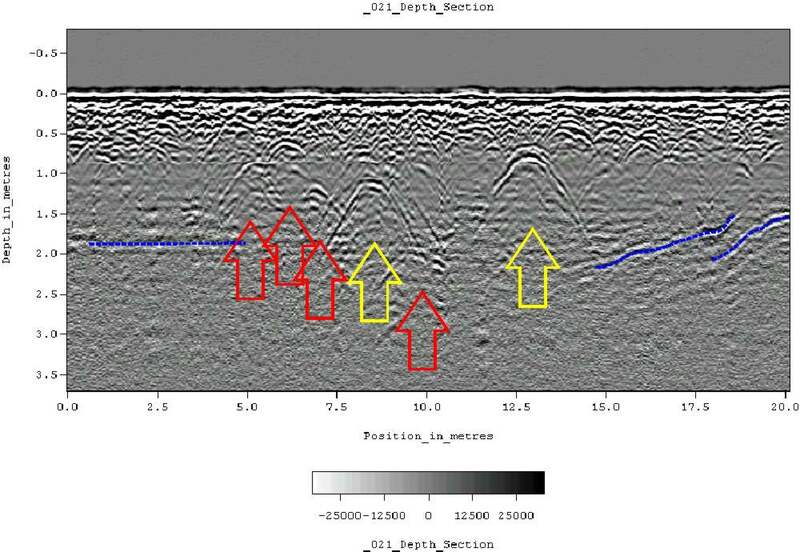 In this case, they suspect the anomalies at 2 and 1.5m depth in the figure above are likely walls. Also interesting is the authors' use of time domain reflectometry (TDR), a technique that is used to measure the electrical properties of soil. As the depth range of GPR is affected by the electrical conductivity of the soil - with more conductive soil, GPR can penetrate further - it is important to understand using TDR the dielectric properties of the volcanic deposit (and thus how far we should expect the GPR to penetrate). ... the use of GPR could produce a detailed map of the ruins still hidden in the subsurface, giving archaeologists the possibility of reconstructing the entire urban development of this unique ancient city. Mapping the full city of Pompeii would be a great contribution to the archaeology of urban life in the Empire. It would also produce a significant amount of information about the ruins before archaeologists put even one trowel in the ground - if excavations ever resume, that is. The design from the principal radar unit comprises of a sending antenna which normally sends out the pulses of sound. 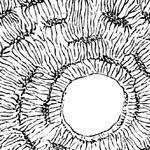 Around the other facet, it includes an obtaining antenna which, since the name implies, identifies and receives those pulses after they strike any underground object. These picked up pulses upon their return can be utilized to build up an image in the underground object. The buried objects can readily be identified using the enable of these pulses because they will range according to the depth and composition of these objects which happen to be uncovered underground.